This book uses an interdisciplinary approach to explain the origin of and possible solutions to many different occlusal problems. Dr. Peter E. Dawson guides the reader along the way providing balanced explanations of theory and technique. He also debunks many popular misconceptions through practical discussion of their origins and the deficiencies of the arguments behind them. Different sides of many philosophies are presented while guiding the reader to the most functional and esthetic solution to various occlusal situations. Hundreds of full-color photographs, illustrations, and diagrams show aspects of the masticatory system, the epidemiology of occlusal problems, and procedures for finding the ideal occlusion. Whether the reader is a general dentist or a specialist, they will find this book applicable to their treatment methods and philosophies. OUTSTANDING FEATURES Special atlas sections break down complex information accompanied by descriptive diagrams and photographs to further explain sources of occlusal disorders and related pain. Hundreds of full-color photographs and illustrations show problems and procedures. Procedure boxes offer step-by-step explanations of specific procedures. Important Considerations boxes in the Treatment chapters outline treatment plans and describe what is to be accomplished. Programmed treatment planning, a specific process that guides a clinician through every step for solving even the most complex restorative or esthetic challenge. 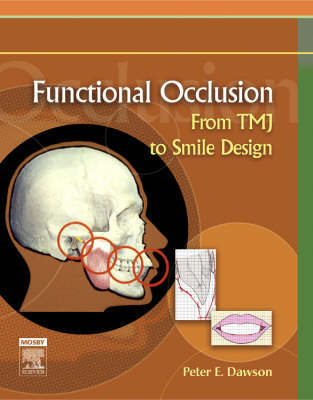 The role of TMJs and occlusion in "everyday" dentistry. The role of occlusion in orofacial pain and TMD, and in anterior esthetics. Simplified occlusal equilibration and how to explain this process to patients. The functional matrix concept for exceptional, foolproof smile design. The five options for occlusal correction and how to apply them to practice. Use and abuse of occlusal sprints. Coordinating occlusal treatment with specialists for a fully interdisciplinary approach. Specific criteria for success and how to test for each.